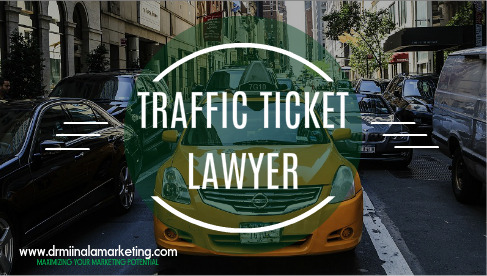 Dr. Miinala Marketing has announced that they are now providing law firms nationwide with a free traffic ticket lawyer snapshot report. The company states that this report will make firms more visible anywhere online and help to drive traffic to legal websites, thus increasing revenue. "Our goal is to help businesses to maximize their marketing potential," says a spokesperson for the company. "Our free snapshot report will show you where you may need to work on your marketing techniques and give you a good overview of how you are being viewed by consumers who look up legal services online." The company states that their reports offer information to legal firms about how customers may view those firms. The company spokesperson says that most consumers today use the internet to search and find local law firms for their legal needs. This makes online reputation of the highest importance as those firms being sought need to show positive client reviews in order to gain new business. The company states that they offer further information about their services and their qualifications on their LinkedIn business page. Dr. Miinala Marketing offers a range of services to help local and national companies gain more online exposure. Company staff includes a host of marketing experts as well as experts in SEO, graphic designers, and others who are trained and experienced in a wide realm of marketing techniques. "It all sounds very complicated," says the company spokesperson. "In reality, it really is simple. You have to have a good reputation in order for people to use your services. Not only that, but you have to be reaching the right people with your marketing efforts. Our job is to ensure that you are achieving these goals, which literally puts more clients in your business and more money in your pocket." Local and national law firms that are interested in learning more about how effective their marketing efforts are or where they need additional help can learn more about Dr. Miinala Marketing on their official website or connect with them on their Facebook page for updates and other information.